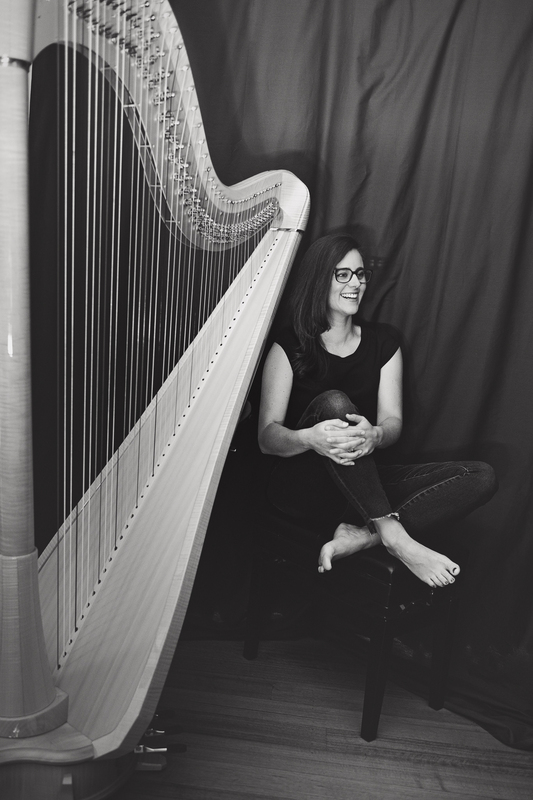 Emily is a Harpist, Violinist, Occupational Therapist and Therapeutic Musician. She lives in Launceston, Tasmania with her husband and two young daughters. Emily has enjoyed performing throughout her life, starting at age 5 studying classical violin and musical theory through the St Cecilia School of Music in Launceston. Emily completed undergraduate studies as an Occupational Therapist in Adelaide and has worked in various parts of Australia. During her travels, Emily collaborated with folk music groups where she discovered the freedom of improvisation on the violin. After returning to Tasmania in 2007, Emily starting learning the harp, beginning on a small lever harp. Emily acquired a Camac Atlantide concert pedal harp from ‘Les Harpes Camac’ in France in 2013 and since then has taken every opportunity to learn and perform. Emily enjoys playing a wide range of musical genres on the harp including classical, celtic, traditional, jazz & blues. She particularly loves arranging contemporary music, composition, improvisation and experimentation with percussion, vocal beats, electronic effects and looping. Although it gives her great pleasure to play classical repertoire, she relishes any opportunity to depart from the type of music audiences expect to hear from a harp; in fact this now forms the predominant part of her work. Emily has experience in numerous solo and collaborative performances, including performing at Dark Mofo (2016, 2017 & 2018), MONA FOMA (2019), MOFO Sessions (2018), ECHO Festival (2019) Junction Arts Festival (2016 & 2017) and numerous live radio broadcasts with ABC Radio. She is the principal harpist with the Launceston Philharmonic Orchestra (2014 – present). Emily has served as President of the Harp Society of Tasmania and also works as a therapeutic harpist, playing harp at the bedside for people with a terminal illness. She is currently studying her final level of the Clinical Musicians Certification Program.